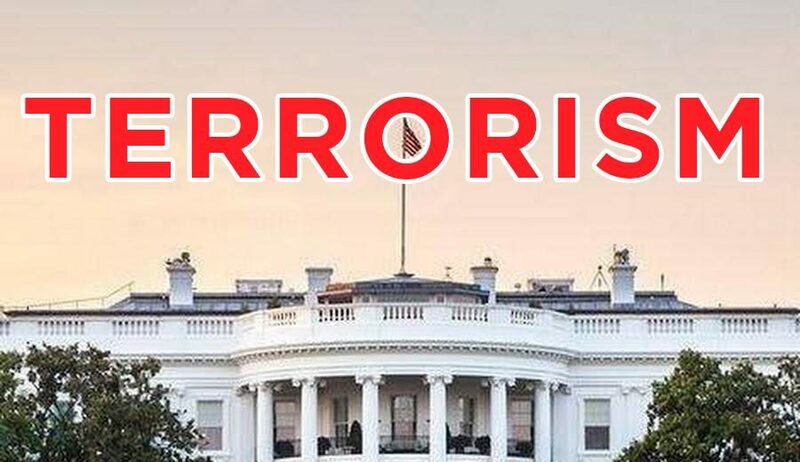 On Wednesday, January 16th the FBI arrested a 21-year-old man named Hasher Jallal Taheb, charged with a jihad plot to blow up the White House. But do the headlines match with what really happened? The problem start from here—almost every single media channel, from independents to mainstream, from left to right, reported the story headline as, a 21-year-old man from the state of Georgia has been arrested and charged for planning a Jihad on the White House. I would like to give you the proper headline, as more correctly reported by Robert Spencer at Jihad Watch: “a 21-year-old practicing Muslim man has been arrested and charged with plotting a Jihad on the White House”. That is how the headline should read. Notice that the single most important fact in the story was left out of most of the headlines. To do a proper job, journalists should try to answer five basic questions in every story: Who, what, when, where, why. But when it comes to clues about these terror plots and attacks, the “why” clues tend to get left out by media. Their motive for doing that exclusion needs a separate article in itself. So, why did Jallal Taheb decide to blow up the White House? The first clue to answer that question of motive is to observe the fact that he self-identifies as a practicing Muslim. A basic starting point is to recognize that the ideology a person identifies with tends to account for their behavior. From the ideology a person holds, we can then follow the logic trail, to answer the question of motive. As a Muslim, the ideology that Taheb follows is Islam. That ideology has a core, revered doctrinal text, Quran, and a core figurehead to be revered, Muhammad. All Muslims start from those two core pieces of belief. But not all Muslims plot attacks. So, we need to complete the puzzle of Taheb’s motive, by uncovering more clues. So to understand why not all Muslims plot attacks, we can first understand that not all Muslims practice the system of Islam, either fully or partly. Many are simply born into it, don’t read or practice it, don’t engage in community around it. They might largely self-identify as Muslims, but the ideology does not largely drive their daily behavior. However, it is also meaningful that a person’s ideology fuels loyalty with others who identify with the ideology. So a Muslim will typically be drawn toward others in the Islamic community. Taheb is alleged to have plotted attacks, and to have expressed desire to join with Islamic State. So, we can conclude that he is on the more observant end of practice of Islamic ideology. By study of Islam, we can see that his attack plots do not stray from core Islamic teachings. Rather, they are embedded commands deeply within Quran, and by the “excellent example” that was set by Muhammad. Quran orders observant Islamic believers like Taheb to commit terror and slaughter. Quran and sira and hadith make it clear that such acts were ordered and carried out and supported by Taheb’s prophet Muhammad. Islamic plots and attacks upon non-Muslims are also ordered and carried out and supported by Taheb’s Islamic scholars and leaders (imams, muftis, the Supreme Leader, and the head of Islamic State who holds a PhD. in the subject from an Islamic university). And so it is that Islamic doctrine, with its vast, scholarly support system around the Islamic world, which completes the motive for Taheb. To effectively practice Islam, his actions must be in line with the terror attacks and conquest that Islamic source text, scholarship, the example set by Muhammad, and commands by Islamic leaders, all demand of Islamic believers. As Quran makes clear, it is the most preferred way to please Allah. The problem we face is that we are largely forbidden to say so. To publicly expose these motives risks becoming a target. Journalists would risk actual attack from the Islamic Movement actors, such as Taheb. And they would also face smears of “bigot” and “Islamophobe” from the ignorant, and from the Leftist propaganda operatives. So, what is required to counter that is for others of us to bravely, gladly and proudly wear the label of being an “Islamophobe” or “bigot” or “racist” where most journalists fail to do their job of finding motive. So, I will come out and tell you that Jallal Taheb allegedly planned for over almost a year to blow up the West Wing of the White House, specifically because he is a practicing Muslim. His motive was not because he was super angry at anything that any Americans did to hurt him, nor did he have “mental illness” as a cause for his calculated plot to destroy an honored part of America and to slaughter innocent, random Americans. He did not decide to blow up the White House because he was not welcomed in America by Americans, nor unloved, nor did he not get enough hugs from any of us Americans. No. There is only one understandable reason behind his actions to plot destruction and slaughter in America—and that reason, his motive, is the so-called religion he is practicing, the supremacist, war faring ideology of conquest that is Islam.